Photo courtesy of OK Magazine. 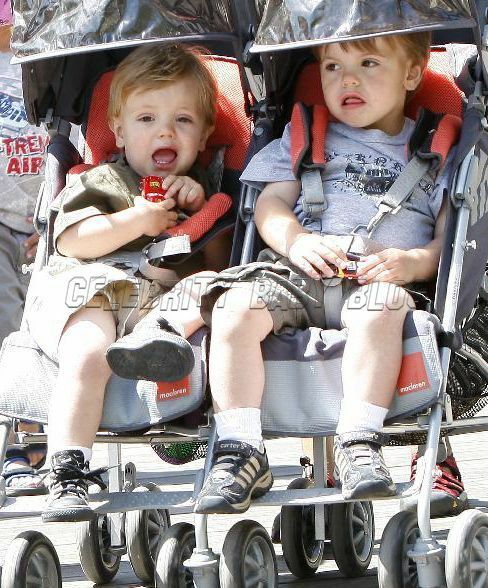 Britney Spears and ex-husband Kevin Federline settled their custody battle over their two young sons today. The pop star is allowed two visits and one overnight stay per week with her sons. Britney will pay K-Fed $20 thousand per month in child support, a substantial increase from their previous agreement. We hope Sean Preston, 2, and Jayden James, 1, are eating well for that kind of money! Forget McChicken Nuggets and Domino’s Pizza; these toddlers can afford to be be dining on caviar! We imagine Britney is feeling a little bummed that her two babies are not living with her full-time. OK Magazine reports the toddlers will stay with their mother this evening. We hope Britney takes advantage of this gorgeous summertime Friday to spend some quality time with Sean and Jayden. Below is some cute gear, perfect for fun in the sun! 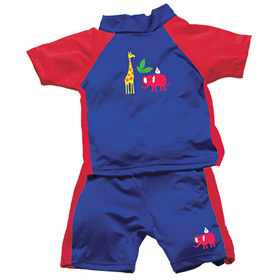 These adorable sun outfits have an ultraviolet protection factor (UPF) of 50. (Not a replacement for sunscreen, but it helps!) Available at Giggle for $52 each. 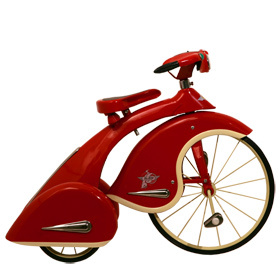 This vintage-style Red Sky King tricylcle is just as sleek as K-Fed’s Ferrari. 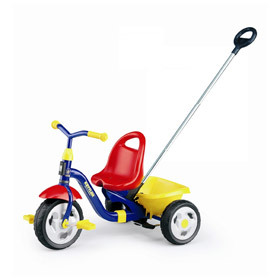 At $250, it is also a lot more affordable! 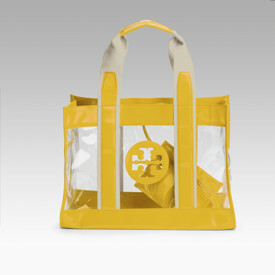 Britney can pack jammies and juice in this bold Tory Burch tote. It also makes a great pool and beach bag. Available at Saks for $175.